In an age of independence, we have traded in our high-quality photos for the perfect selfie… I love the way the girls over at What’s up Mom’s captured this concept in thier “Livin’ for the Share” parody. 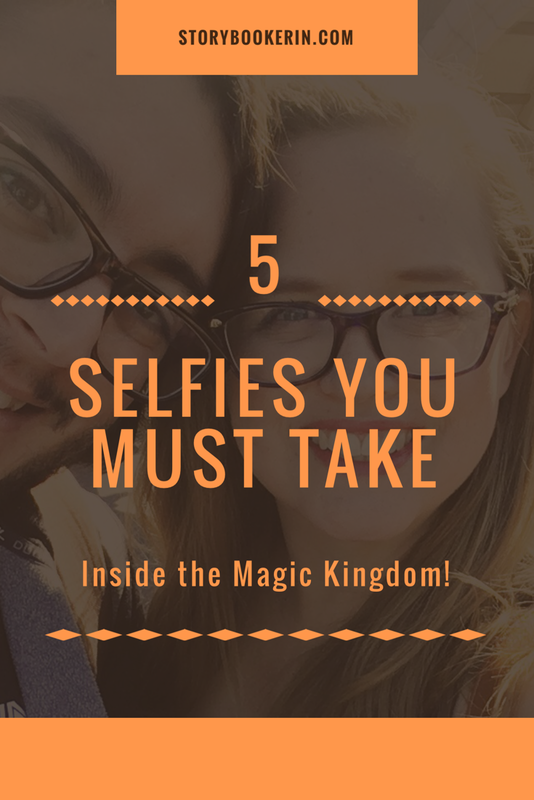 Since I am known to take a few (too many) selfies to share on Social Media, I thought i’d give my top 5 selfies to take while inside the Magic Kingdom. Please note, you are not permitted to use a selfie stick on Disney property, so be sure to leave those at home. On your transport of choice to the Magic Kingdom. Do you take the bus to the Magic Kingdom? Perhaps you ride on the Highway in the Sky? Maybe the boat? No matter how to enter the Magic Kingdom, take a selfie! Capture the excitement of your crew as you approach the happiest place on earth! SELFIE # 2 – Favorite Ride! My favorite ride in the Magic Kingdom is Space Mountain. Since I had three babies in three years, I wasn’t able to ride it for quite a while. As soon as I was finally able to ride it again, I took that selfie! Sadly it’s a little blurry because of the low-lighting inside the ride. It’s still one of my favorite selfies i’ve ever taken in Magic Kingdom though! Follow my Disney Bestie for adorable Disney Bounds! 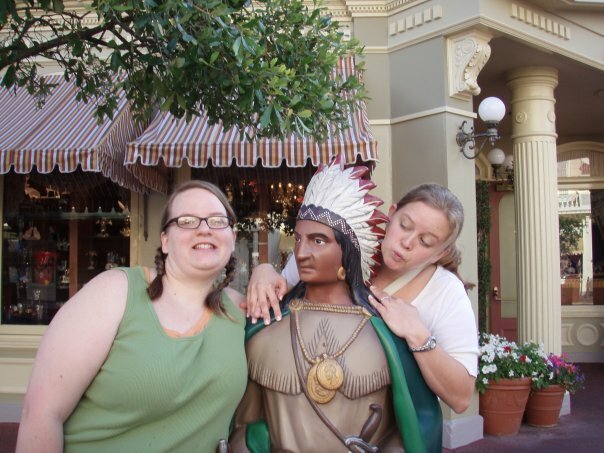 As far back as I can remember, I’ve been taking photos with and of the Indian on Mainstreet USA. It wasn’t until recently that I decided to look up the reason for the 2 Indians inside The Magic Kingdom. When the Magic Kingdom first opened, this statue was placed outside of the two locations you could purchase Tobacco. In the year 2,000 The Walt Disney Company stopped selling Tobacco inside Magic Kingdom Park, but the statues have remained as part of the charm on Mainstreet USA. SELFIE 4 – Your Crew! Each time you go to Disney it is potentially with a different Disney crew take a selfie with your crew to capture the memories from that specific day! This is the day our daughters all got thier first haircuts on Mainstreet USA! Such an adorable and fun experience for kids! Read all about the Harmony Barbarshop and what to expect here! *Edit: The Purple Wall just got a new paint job, totally gives me Spaceship Earth Vibes. Anyone else? Are you a Disney Fan or Blogger? Join our Disney Ohana on FB! 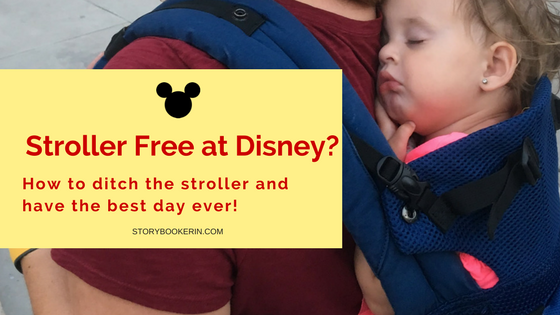 Baby Wearing at Disney, the best way to be Stroller Free! 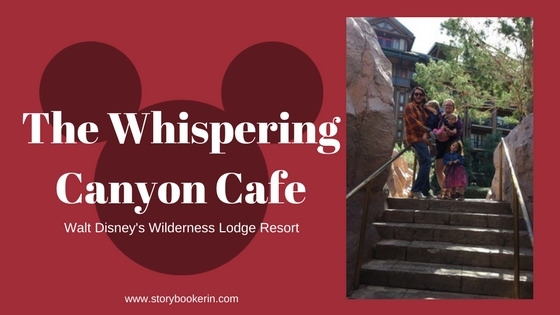 Next post Should I take my Preschooler to Hollywood Studios?